Med Docket™ is a system where you can store, access, update and organize your medical data/images in one convenient and secure location on the web. No. Considering the ease with which you get to your medical needs, and the security provided, the cost is negligible. 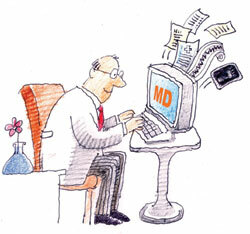 Who can use Med Docket™? Anyone with basic computer skills – young, old, sick or healthy can use Med Docket™. Why do we need Med Docket™? What is special about it? 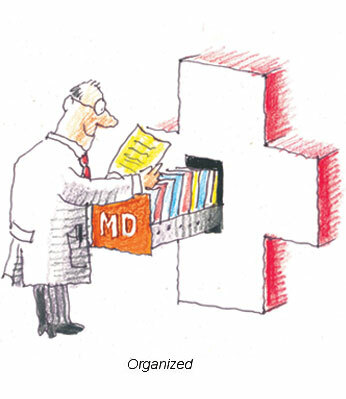 Med Docket™ is a unique storage solution of ‘ALL’ your medical records & images through the years kept in long forgotten places, now stored in one safe and secure location. This will give you peace of mind that your medical records and those of your loved ones, besides being kept in a secure location are available at the touch of a button. If you have difficulty in remembering your medical problem or suffer from a medical condition or allergy that may make you vulnerable in an emergency, Med Docket™ is the answer. When sudden illness strikes, you know you have access to a complete medical record that will be of great value to the doctor and attendants. How secure is my personal information with Med Docket™? Your personal information is safely locked within our secure system. To read more on our security features – click here. Your personal information WILL NOT be sold to data banks. How do I enroll for Med Docket™? Step 5: Fill in as much relevant medical data and images as possible for completion of your record. Step 6: You will now be able to access your health record anytime, any part of the world simply by logging in with your username and password. Can I store my entire family’s record on the net? Yes you can. And Enjoy Peace of Mind henceforth! 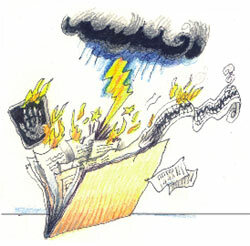 If I am ill or in an accident, how can my records be retrieved? We encourage you to fill up details of your emergency contacts as well as healthcare power of attorney. 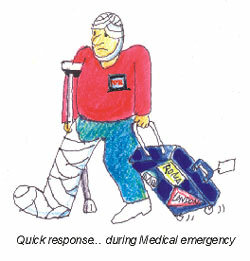 In time of emergency in case you are ill, they will be given the information, if their details are available with us. In case you have not put in their details or they are not reachable, our administrator will authenticate the details of the doctor or hospital who contacts us for your records and only after satisfactory authentication, will your records be shared with anyone. The confidentiality of your records is guaranteed. Encryption is mandatory in storage facilities for securing your personal information. Will I be able to manage my own medical information easily? Yes. The system is user-friendly. If I have a problem, whom do I contact? f a problem occurs, our customer support team can be reached at the following email address/phone number.